The Association of British Insurers has branded Insurance Premium Tax rises as “a raid on the responsible” and urged the Chancellor not to penalise drivers further as he looks to balance the books in the forthcoming October Budget. The UK has the sixth highest rate of Insurance Premium Tax in Europe since the standard rate was increased three times between November 2015 and June 2017, from six to 12 per cent. 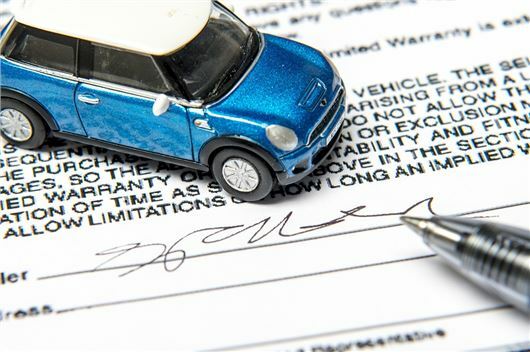 Insurance Premium Tax applies to all car insurance sold in the UK and is calculated on the basis of the cost of the individual policy, which means an extra 12 per cent effectively goes on top of what would otherwise have been the total cost. “The Chancellor has a difficult task ahead of him this Budget but he should realise a raid on the responsible is the wrong way to balance the books"
According to the Social Market Foundation (SMF) think tank, Insurance Premium Tax now raises more revenue for the Government than beer, wine and spirit duties combined. About half of this is paid directly by households on insurance products, with the remainder paid by businesses. The SMF claim that business costs associated with insurance tax are likely, at least in part, to feed through into the finances of households – through higher consumer prices, lower dividends and reduced profits for business owners. Its forecasts suggest that the per-household annual costs of insurance tax will rise above £200 by the end of 2018. Huw Evans, director general of the Association of British Insurers said: “The Chancellor has a difficult task ahead of him in this Budget but he should realise a raid on the responsible is the wrong way to balance the books. The tax rate on insurance premiums should be zero - its a necessity (and a legal requirement), not a luxury or 'nice to have'. I fully agree with the article. Penalising the law abiding motorist by increasing insurance premiums to subsidise revenue is right out of order. OK other insurances are also subject to the same taxes, but that's just further money grabbing by government. Increase duty on alcohol and tobacco products to subsidise the funding for government job creation schemes like the NHS. Ensure the taxpayers money is spent on the things we need, like policing and education. I hate to say this but praising Government for ding us all is a bit silly as her good all will go up on the same thing she praise. Wagons delier have to pay more so you have the knock on your wallet over it too. It is across the board evil. Work it out yourself We pay for police in out road tax and in our rates too. Fire brigade get paid five times from our payouts to Government. Add all rate payers donations up say some 49 million working out of 80 million counting illegals and refugee and the ones who will not work. Then all our taxes of foods and all the hidden costs on fuel and oils for home ch. Govenment makes something akin to 985 billion a year out of us. Taken out the national health the armed forces and pensions left with just 459 billion poor things .We are being robbed no doubt about it. You see what a good dodge we are saving not paying Eu but we are poor and you have to pay more because Eu are charging loads out of us. Please pay us so we can have more champers at luncheon. If we had home rule and divisional area representation and hanged all these creepy ministers with that same gusto we all had in 1640s Civil wars as Government have exceeded that guilty Kings treason but as Chesterton said.We are the people of England who have not spoken yet. It is about time we did or be walked all over. I wouldn't be surprised if IPT reaches 20%, even in stages. It must be one of the easiest taxes to collect and raising it to 20% would match the standard rate of VAT. After all, it's just another "service" provided to a customer..! It's about time this government stopped treating the motorist as a cash cow that makes up for shortfalls in other in incompetent financial schemes. They seem to believe that motorists, pensioners and the poor are easy targets when it comes to boosting government money, instead of targeting the banks and the rich and blaming their incompetence and everything else on Brexit. I completely agree, it is a legal requirement for motor insurance, and a prudent necessity for house and contents insurance. It an unavoidable tax when staying legal prudent and sensible. Once again motorists are being ripped off, no wonder so many don't insure their cars or property. Instead of looking for more convoluted ways to raise revenue the government should cut down on squandering taxpayers money. Furthermore if we had fewer taxes then the whole tax collecting system would be more efficient. We are paying more and more for less and less. I blame all politicians regardless of the party they represent.